Preparation : Fresh fruit crushed for juice. Ingredients : Leaves contain calcium and a good of vitamin C. An aqueous methanolic extract of root bark reported having three new 2,3-arlbenzofurans mulberrofurans M,P and Q -isolated. Roots also contain Kuwanon Y and Kuwanon Z. 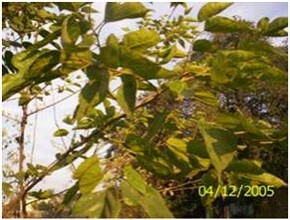 Ailment Treated : Leaves used for rearing silk worms, diaphoretic and eaten. Roots are anthelmintic. 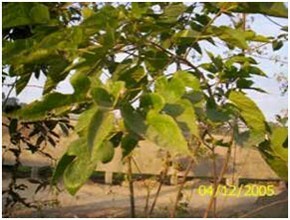 Bark is used for paper making, textile fibers, purgative and vermifuge. Fruit juice is used as refrigerant, throat sore, dyspepsia and melancholia.